About half way through Finders Keepers by Stephen King it occurred to me that it’s a bit macabre for an author to depict a fictional author being brutally murdered by an obsessed fan. Not that King is any strange to the macabre label. In fact I’m pretty sure that’s where I first learned the meaning of the word. But usually King writes about more fantastical horrors than something that could easily happen to him or anyone else. But that makes the scene all the more chilling. 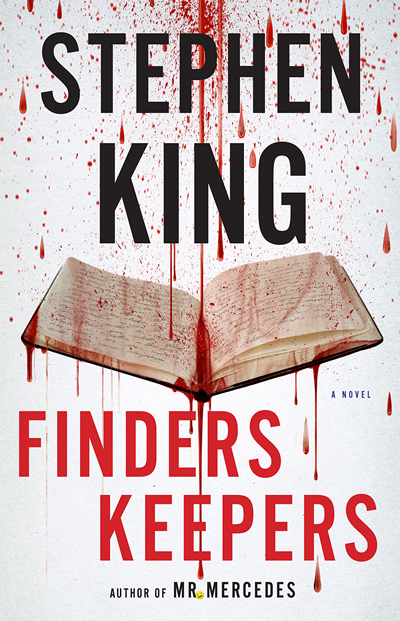 Finders Keepers is the follow to King’s 2014 novel Mr. Mercedes. I haven’t written about Mr. Mercedes yet, but I totally loved it. Both are crime novels and there isn’t anything supernatural about either of them. They are also not horror, but I do think King’s knack for the twisted and horrific is a great complement to the crime genre. I’m into the final act of Finders Keepers right now – right at the point where it’s getting harder and harder to put down.